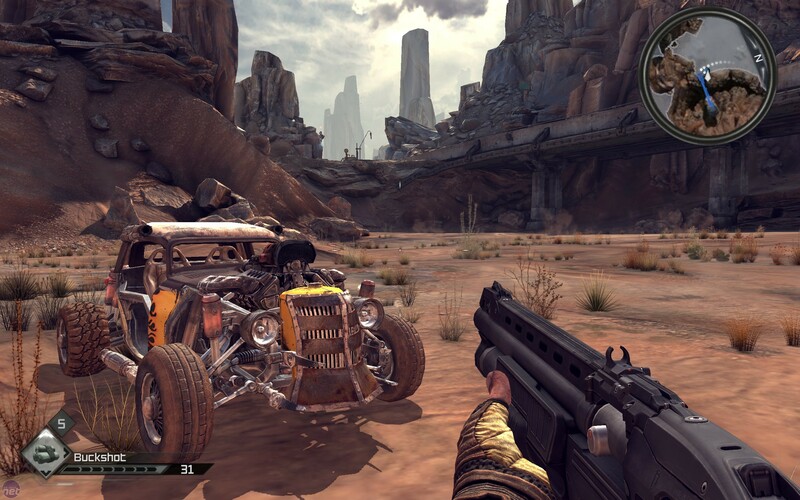 The original PC version of Rage shipped with only very limited graphics customisation options - players could tweak the resolution, the anti-aliasing and...that was it. The latest patch, which was released on 8 October, adds in a few more options - texture cache, Vsync and anisotropic filtering - but it's still woefully lacking compared to other modern titles. There aren't even many settings within each category, either. Of course, Vsync is merely an On/Off toggle that reduces screen tearing, but anisotropic filtering and texture cache settings can also only be switched between Low/Small or High/Large options respectively. Anti-aliasing, which smooths the edges of in-game objects, can be switched between 2x, 4x, 8x and None. 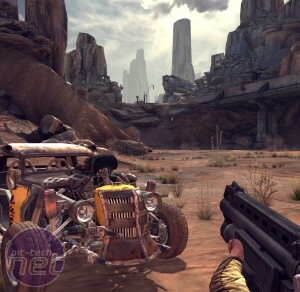 The reason for this is that Rage, which is the first game to use id Software's new id Tech 5 engine, features a built in 'auto-balancer' that automatically assesses the system on which it's running and scales the visuals to reach an optimum balance between performance and fidelity. Unfortunately, the auto-balancer doesn't scale high enough to make the most of the powerful id Tech 5 engine. 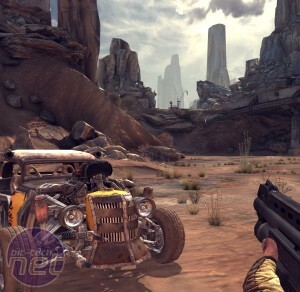 Despite John Carmack's recognition that 'a high end PC is nearly 10 times as powerful as a console, and could unquestionably provide a better experience' (Source), Rage doesn't provide spectacular increases in graphical fidelity no matter how much you increase the in-game options - as you can see from the images below (click to enlarge). The images on the left show what Rage looks like with all in-game settings turned to low; Small texture cache, no Vsync, no anti-aliasing and Low anisotropic filtering. 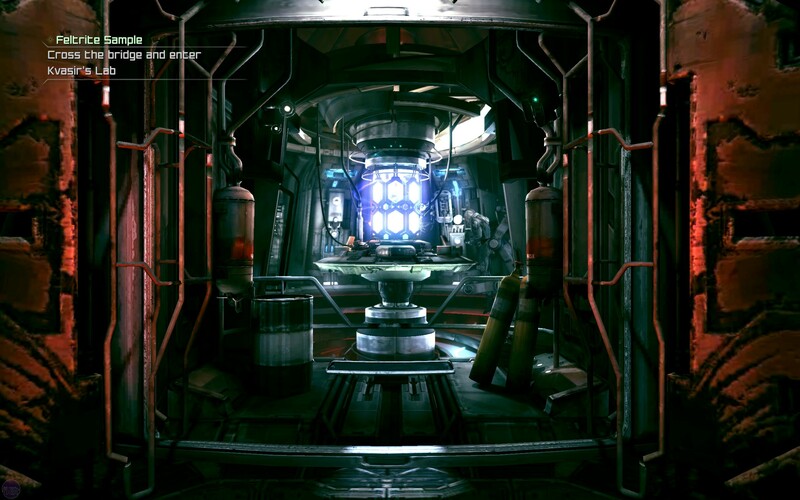 The images on the right show the highest settings; Large texture cache, Vsync on, 8x AA and High anisotropic filtering. Performance was still smooth on both machines, even at a resolution of 2,560 x 1,600, although enabling Vsync drops the frame rate from 60 fps to 30fps in order to eliminate screen tearing. Regardless of which image you look at though - either the open space or the indoor environment - Rage struggles to impress, and the only setting that has a definite impact is the vertex smoothing AA option. Even with the texture cache, which lets Rage store more texture data in video memory and supposedly remedies blurry textures or pop-in, the game still doesn't look great - look at some of the wall textures in the indoor scene. 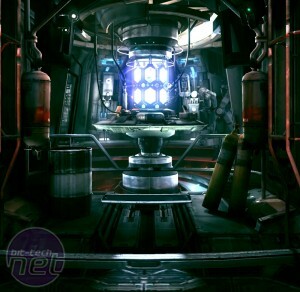 The outdoor scene, meanwhile, has crisper textures in general thanks to id Software's megatexture technology. This uses huge textures for entire scenes rather than lots of smaller textures for individual areas, but that's only in comparison to the indoor scene. There's still no difference in texture quality between the high and low settings. 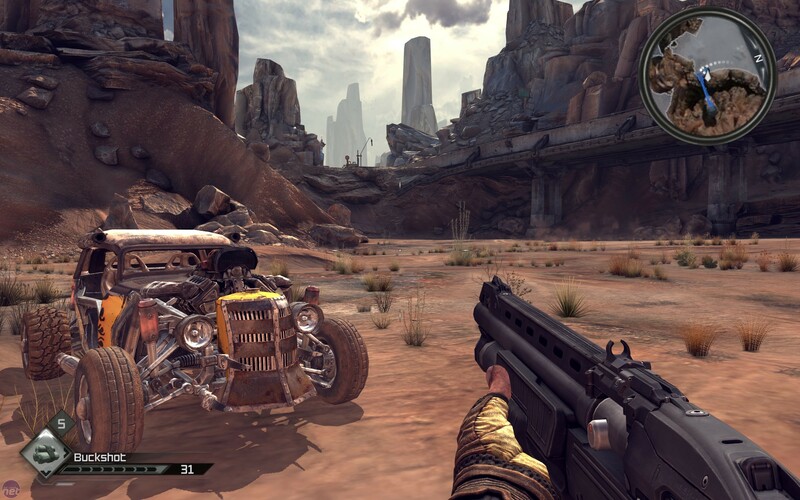 The overall impression is that, while Rage has a few areas where it technically or artistically excels, there are other areas where the game falls graphically flat. While character models and level sizes may impress on one hand, this is offset by the blurry environment textures and constant pop-in from the megatexture streams. Luckily, there are still some tweaks that can be wrought upon the game by creating a custom .cfg file for Rage in the game directory. A report from the NPD Group suggests that the UK is a nation of console gamers, while Germany prefers the PC.